But this year, we saw some real innovation and some big leaps forward. TV makers are pushing the edge of the envelope like never before. This was a huge year for TVs at CES. In some cases, literally. Some years we see just incremental improvements on existing technology or a bunch of buzzwords that leave us cold when the rubber hits the road. Here’s our list of the best TVs at CES. 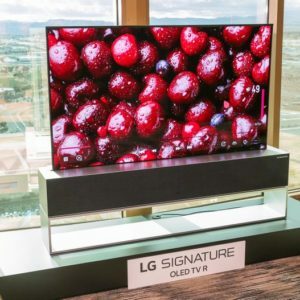 LG SIGNATURE OLED TV R (65R9) Let’s start with the most intriguing: LG’s roll-up OLED TV is every bit as magical as you’ve imagined. LG’s 65-inch 4K OLED Type R. The R stands for roll-up or, as we like to call it, Roll-ed. The TV emerges from a long rectangular box like a phoenix from the ashes, and when you’re done watching, it rolls right back down, out of sight. It can also be minimized into what LG calls “line view” to deliver different kinds of content. There’s an integrated speaker system but LG is supporting WiSA this year, which means wireless surround sound is now possible in a whole new way. We found this TV to be so remarkable, we gave it our coveted best Tech of CES award. SAMSUNG MICRO LED “THE WALL” TV We move on to the biggest TV here: Samsung’s 219-inch “The Wall.” It’s a Micro LED TV, which means there’s no backlight. It’s emissive, like OLED, but unlike OLED it uses only Red, Green, and Blue pixels, so not only can it deliver true black levels, but it is incredibly bright and colorful. This is a modular system, too, so the idea is that it can be assembled in any size or shape you want, but as conventional TV sizes go, Samsung went and surprised us with a 75-inch variant, which could be a TV you could own one day. LG 88-INCH 8K OLED (Z9) Also, in the LG booth is this stunning 88-inch 8K OLED. It’s not just big, it’s luscious. The picture is deep, rich, and intoxicating. For best picture quality at the show, this is it for us. It’s also important to point out that LG, like all the big manufacturers, is supporting Apple AirPlay 2, so you can now play your iTunes movies, TV shows, and music through the TV using your iOS device or Mac. Honestly, if the roll-up OLED wasn’t so compelling, this would be our pick for best TV at CES. 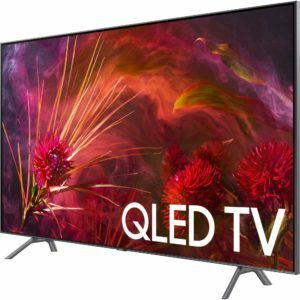 SAMSUNG 98-INCH 8K QLED TV (Q900) Next up is Samsung 98-inch 8K QLED TV. 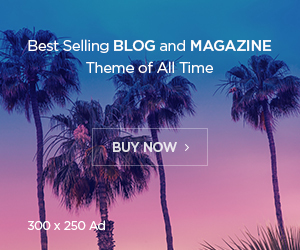 Not only is it big, but its super well-designed both from an aesthetic standpoint, but also the user experience. From Samsung’s no-gap wall mount to its automatic source detection, to the one-connect box and one-connect cable – this TV is just a bigger version of the 8K awesome we’ve come to expect from Samsung. Count on Samsung’s A.I. upscaling system to make any content you watch, from any source, look great at 8K resolution. SONY 98-INCH 8K LED/LCD TV (Z9G) Sony also has a 98-inch 8K LED TV, and it’s a looker. The feather in Sony’s cap is its X1 Ultimate processor, which does an incredible job at not just upscaling, but cleaning up an image. Those banding artifacts you get with streaming content – which let’s face it is mostly what we watch — looks smooth as silk on this TV, and that’s critical at this size. Sony is making a few other 8K models this year, but it’s hard to deny this 98-incher is the most cinematic-looking TV we’ve seen at the show this year. TCL 75-INCH 8K ROKU TV Now over to TCL, which is poised to blow up even bigger in 2019. It’s got a 75-inch 8K TV, too, but the difference here is that it is a Roku TV and that it will come in far less expensive than its competition. With TCL producing an 8K TV at this size, it is likely far more people will be able to take the step up in resolution if they want to. It doesn’t hurt that this TV supports Dolby Vision, HDR10, and HLG types of high dynamic range content directly from the Roku platform, making it one of the most user-friendly TVs on our list. That’s a lot, isn’t it? As we said, it was an exciting year for TV at CES 2019, and these were just our picks for the best. There are a lot more where these came from, and we’re going to be reviewing a lot of them this year, so keep visiting Digital Trends for the best TV reviews and all your insightful daily tech news.